Our production runs the gamut from small-batch cast lines, sculpture, and one-off custom pieces, to bespoke architectural detailing and brand specific ware. We use three custom clay formulations depending on the requirements of the finished piece; high-fired stoneware for thermal strength and durability, translucent porcelain for strong yet light tableware, and plastic earthenware for one-off pinch pots. Our glazes are also formulated in-house to fit our clays and create the desired color and surface texture of the finished ware. All functional ware is food safe and free of lead and barium. Part of our ongoing Survey: Pittsburgh project, our Tiki designs bring a Pittsburgh touch to a longstanding beverage culture. Plates, bowls, and serviceware sets designed to withstand daily use in the home or business. We constantly think about the relationship between the aesthetic and utilitarian demands of product design. Whether a sake set, tumbler, or teacup we play with accepted wisdom while striving to remain true to the use function of each design. In addition to making high quality ceramics, we also offer a variety of professional services including crafting production molds for professional potters. From a suitable blank, we create a mother mold, three production molds, and a cottled rubber mold for each individual mold piece. Prices vary based on complexity and number of parts involved. Step One: Provide Us With Your Object. Potters often find themselves wishing that they could easily reproduce a particular iconic form without sacrificing their wrists wedging and throwing for days on end. 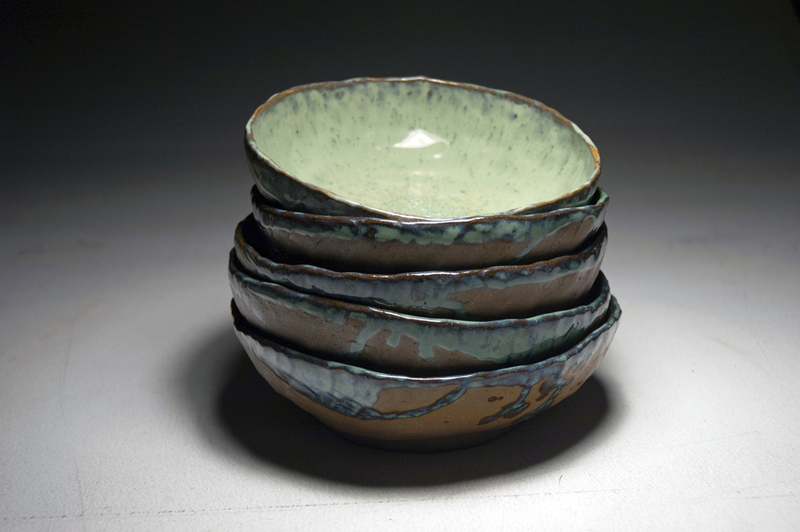 Slip cast wares are an excellent way to reproduce handmade designs to exact dimensions. The first step is to contact us and provide us with your design. Original blanks can be made with a variety of materials-- clay, wood, plastilene, 3D printed plastic, etc. Next, we must make an original plaster mold. This step is easily the most time consuming as the piece must be examined for undercuts, each of which require an additional mold piece. Once the seam-lines are calculated, the blank is flashed with clay before plaster is cast into the void. This process is repeated for each mold section until the form is fully modeled. Once the original plaster mold has cured, we cast each section in a durable urethane rubber. Each section comes with its own unique cottle system and is used so that you can recreate each mold piece in plaster. This allows you to create as many production molds as you need to fill your order. The rubber ensures that you can reproduce your object for years to come.